Dental cavities are common and dental fillings prevent the loss of tooth structure and save the tooth. Amalgam(is a type of alloy mixture used for fillings) – commonly called the “Silver Filling” was considered the gold standard of fillings due to its strength, resistance and the ease of use. But it has a few disadvantages such as, it contains Mercury which is an industrial pollutant. Many countries in Europe have banned the usage of the same due to its potential toxicity and side effects. Even in India there has been an advice to decrease the usage of the same. There has been a new development in fiber reinforced filling materials has a high strength, which is a tooth friendly and also environment friendly, and gives a aesthetic look . On Monday, 18-12-2017, at the Video Conference room of Apollo Specialty Hospitals, Teynampet between 2 pm to 4 pm , The Dentists of Apollo WHITE dental shall gather physically as well as through Video Conference to learn more about the new development in the Materials arena and also brainstorm on the adoption of the advances in routine clinical practice. Usage of Mercury in dental clinics, its potential health implications shall also be discussed a referendum initiated. 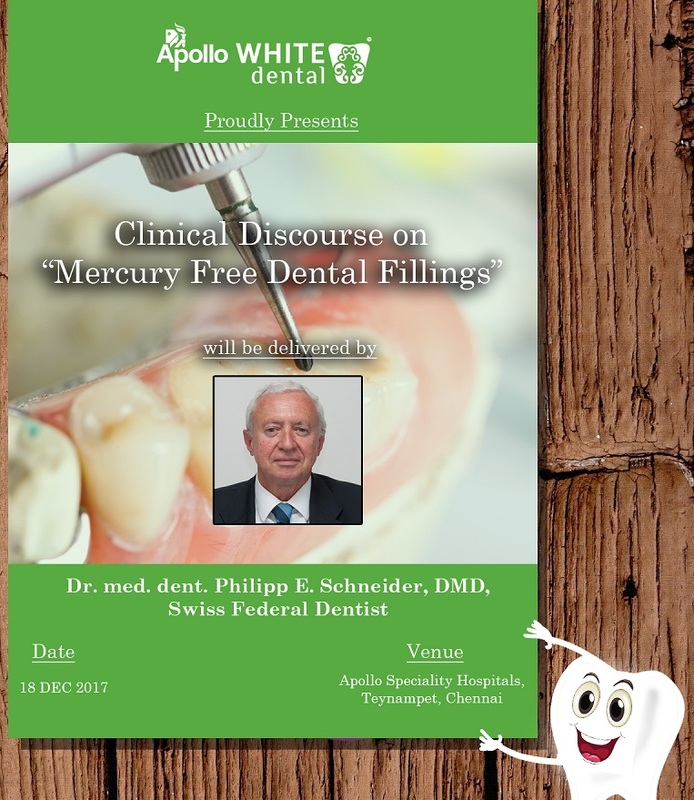 Apollo WHITE dental, the dental vertical of the health care leader Apollo Hospitals is happy to invite Dr Philipp E. Schneider, a teacher, clinician and expert in the fields of Restorative Dentistry, Periodontology and Prosthodontics from Switzerland to conduct a lecture on Centurion, An Alternative to Amalgam. 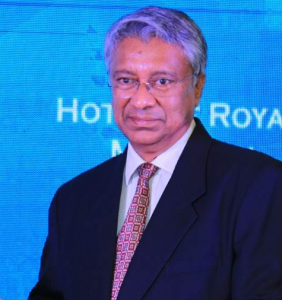 Dr. Arun B Chittaranjan, veteran teacher and acclaimed orthodontist, the Clinical Director of Apollo WHITE dental will welcome the guest and initiate the discussion. Dr Philipp E. Schneider will introduce the new generation tooth filling material and explain its potential strengths and handling properties. Dr. GSK Velu, the Managing Director of Apollo WHITE dental encouraged the team to brainstorm on improving the safety protocols further and improve the quality of dental restorations. As being India’s most trusted & leading dental chain we would like to invite you to spread awareness on Mercury free dentistry . Does Dentist Play A Vital Role in Tobacco Cessation?